Following relatively quickly on the heels of 2017’s debut tape (reviewed here), sole project member Kim Vann has returned with his debut vinyl release. 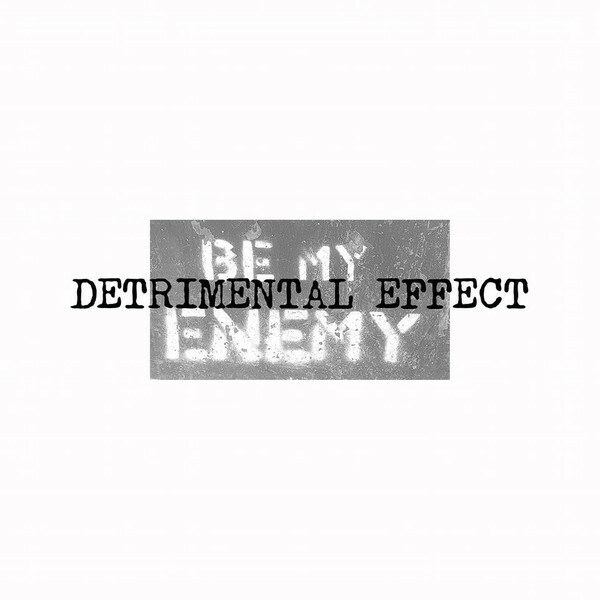 To make reference back to my review of the debut tape I noted that: ‘Detrimental Effect is project to keep an eye on’, which is proven absolutely correct with the release of Be My Enemy. 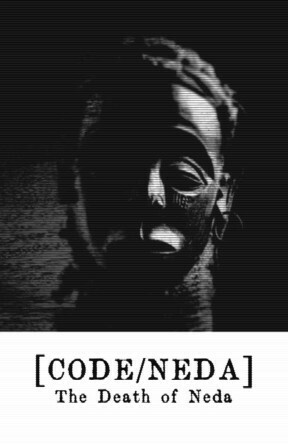 This new album has also been issued with the following ideological statement, which frames its thematic focus and intent: ‘A perplexed continent adrift with ever more fractions while claiming to have the solution for the crisis at hand. Indifference or resignation is no longer an option and confrontation is called for’. 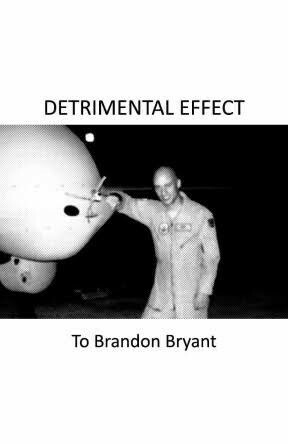 In many ways the sound and approach of Detrimental Effect on this album could be deemed to be an updated, modern and slightly more direct and attacking version of Operation Cleansweep’s heavy electronics approach, where I apply such a comparison with absolute high praise and respect. Yet, a limited pressing of 100 copies seems too few for an album of this quality but is partly explained but the current emerging status of the project. But don’t let either this limitation or current obscurity of Detrimental Effect turn your away, as surely this will be sought after album in years to come. In a word – recommended. Although not knowing a great deal about this project, available online information indicates they are from the UK and supposedly commenced as a tribute to Marco Corbelli of Attrax Morgue following his death in 2007. 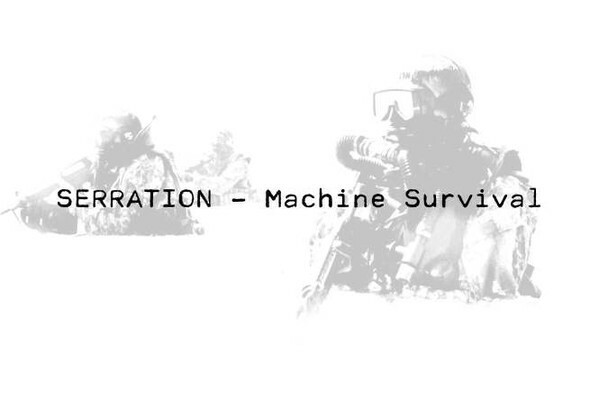 In short STAB Electronics concern themselves with unpolished and scathing power electronics. 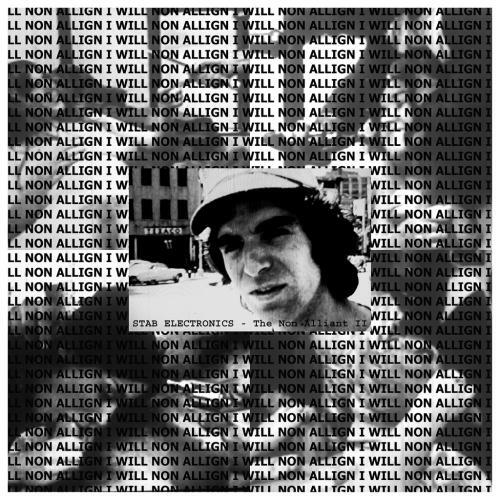 Noting that ‘The Non Alliant II’ is the second in a pair of albums, this LP represented the opportunity for myself to get more formally aquatinted with the project, with my initial introduction being via the ‘We Gave Them the Future And They Wanted The Past’ 2012 cassette compilation (on Unrest Productions). Based on the singular strength of the STAB Electronics featured compilation track ‘The Sins Of The Father’, this LP was immediately tracked down (…particularly given that the ‘The Non Alliant I’ is long sold out). Rough, heavy and loosely structured power electronics is STAB Electronics particular niche, being brutal, no frills and absolutely to the point. Each of the five album’s tracks are built on a straightforward mixture of crumbling static, heavy distortion, throbbing bass, pulsing noise and loosely structured loops, which provides the platform for the shrilly intense vocals, which based on the ferocity of delivery is the singular element which takes this from good to great. In the most part the vocals are of the ‘standard’ power electronics style (ranging from hard sermon like delivery through to yelled and echo/ distortion drenched), however it is their intensity of delivery which really takes it to the next level. Being generally heavy, visceral and unhinged, on a number of tracks the vocals are pushed to a point of absolute manic intensity. Likewise if the lyrics were not already blunt in their antagonism, some well placed dialogue samples lifted from ‘American Psycho’ flesh out the intense levels of nihilism on display. Packaging is simple and no-frills – black label LP and two printed inserts. Yet given its raw, visceral and oppressive atmosphere, having a limited press run of a mere 105 copies is FAR to few for an album of this calibre. Get it while you can (…if you can). Rather than constituting a split release this is a collaboration between these two UK based acts and features three tracks which traverse the border regions of power electronics, noise and industrial (…to great result I might add). 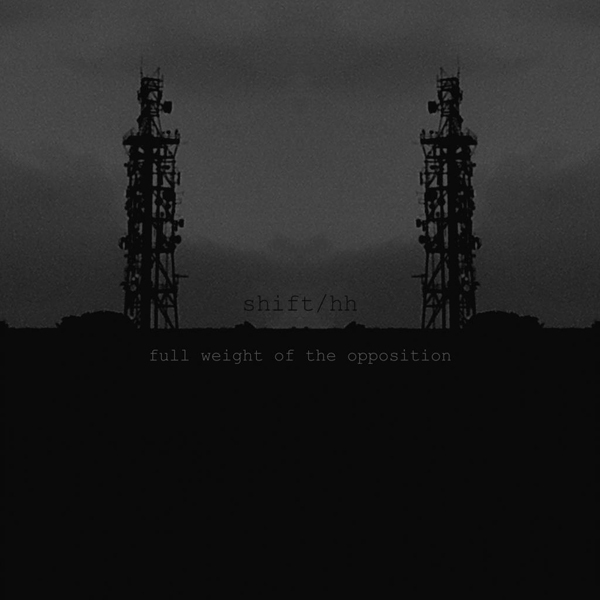 ‘Pigshit’ is a monolithic track which takes up the first side of the vinyl and features a sustained and crushing bass drone, upon which a loose mass of heavy metallic scraping sounds and looped junk noise are overlaid. Vocals then arrive as a fully separate sound layer (sitting high within the mix), being distorted and harsh, but also using sparingly throughout the track. On the vinyl’s flip side ‘Truth Is Conflict” takes a similar sonic approach again utilising loosely constructed loops of metallic resonance and bass grinding intensity, again including the sporadic use of heavy power electronics vocals. The third and final track ‘Their Fall Will Be Harder Than Ours’ differs slightly due to the heavy bass loops giving a sense of stilted rhythmic intensity over its extended length. Also setting this track apart are the vocals which are subdued and spoken in delivery, which works extremely well as a point of difference to a usual harder, aggressive and distorted power electronic vocal style. Given all three tracks are expertly executed and have been recorded and mastered for sheer punishing effect, this 10” is an excellent and ferocious listen which is also testament to the high quality of the current crop of power electronics / noise / industrial acts operating out of the UK.